Ira Sabin, a jazz drummer, promoter, and record store owner who founded JazzTimes magazine, died Wednesday, Sept. 12, at an assisted living facility in Rockville, Md. He was 90 years old. His death was confirmed by his son, Glenn Sabin, who told The Washington Post that cancer had been the cause of his father’s death. 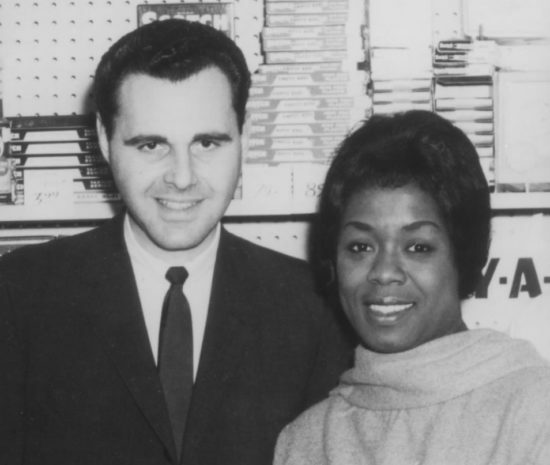 Sabin was the owner of the Washington, D.C., store Sabin’s Discount Records, which became the largest jazz record retailer in the United States. The store began distributing a newsletter, Radio Free Jazz, to customers; it evolved into JazzTimes, of which Sabin was publisher until 1990 and owner until 2009. He also inaugurated the magazine’s annual convention in 1979, which evolved into the JazzConnect conference and most recently into the Jazz Congress. Ira Sabin was born Aug. 10, 1928 in Brooklyn, and moved with his family to Washington in 1939. 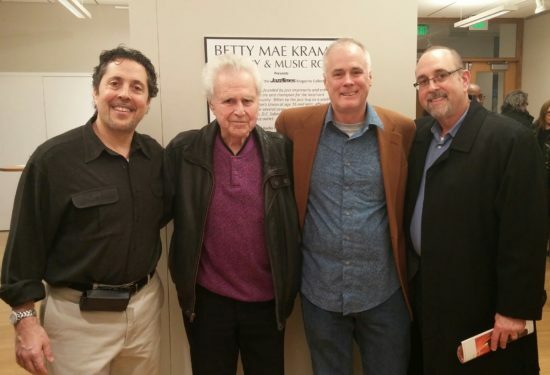 Shortly afterward, 12-year-old Ira began playing the drums; he soon became interested in jazz and by 16 was a member of the Musicians’ Union, performing regularly in place of the more seasoned musicians who were serving in World War II. Inducted into the army himself in 1952, Sabin spent four years playing in army bands in Japan. Upon returning to Washington in 1956, he became a prolific and popular drummer and bandleader on the local scene. He also began booking and promoting his fellow musicians, including big-name touring acts who were passing through the District. In 1962, Sabin partnered with his brother-in-law at the latter’s record store on U Street, Washington’s jazz corridor. “After four our five months, I bought him out,” Sabin recalled in 2000. “I had my own ideas.” The renamed Sabin’s Discount Records thrived, both as a retail outlet and as a hangout for musicians; though the store survived the decimation that befell U Street in the 1968 riots, Sabin then moved it to a larger space in Southeast Washington. Sabin’s Happenings, the two-page newsprint sheet that Sabin increased to four pages and renamed Radio Free Jazz in 1970, was intended to highlight new records in stock and to advocate for more jazz radio airplay. It soon swelled to 28 pages, with Sabin selling ad space; Dizzy Gillespie became his first subscriber. Though he originally produced all of the content himself, acclaimed jazz journalists began pitching him. One of them, Leonard Feather, convinced him in 1980 to change the publication’s name to JazzTimes. The following year, Sabin sold his record store and devoted himself to the magazine full-time. He turned the publication’s operation over to his sons, Glenn and Jeffrey, in 1990. Sabin established the first of what became known as the JazzTimes conventions in 1979, a first-of-its-kind gathering of 200 musicians, educators, and industry professionals, at Washington’s Shoreham Hotel. The conventions later moved to New York and became the JazzConnect conference, which today continues as the Jazz Congress, an annual event co-sponsored by JazzTimes and Jazz at Lincoln Center that in 2018 drew 800 attendees from around the world. Sabin is survived by his wife of 67 years, Irma; a daughter, Marla; two sons, Glenn and Jeffrey; five grandchildren; and three great-grandchildren. Read a profile of Ira Sabin from the 30th-anniversary issue of JazzTimes.